Well … it’s also where the litter box is and we’re pretty sure there are times you wish it wasn’t so. However, caring for your cat doesn’t require you to compromise your home. Picking the right litter is one of the most important ways of guaranteeing a happy feline and clean home. Here are the four things a good litter must do to make sure you keep things sanitary, safe and simple! Any good litter must offer exceptional clumping to truly eliminate nasty pet smells. If it doesn’t trap odors on contact, your home will stink despite all your best efforts. We see a lot of litters that simply try to mask odor, but this is only covering up the problem. A great clumping litter uses naturally absorbent materials to lock in smells so they can easily be scooped out of the box. Poor clumping doesn’t just mean bad smells. It can also be a very sticky problem. 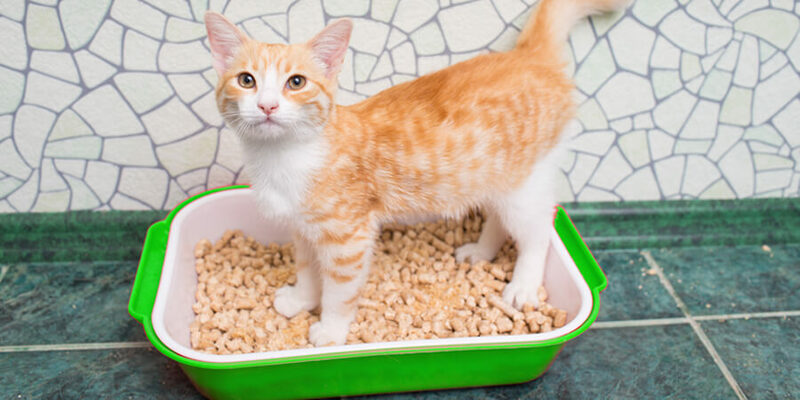 When a litter allows liquids to seep through the litter and sink to the bottom or stick to the sides of the box, you spend more time digging around the litter box than your cat. A good litter absorbs liquids instantly so you avoid unnecessary cleanups and wasting perfectly good litter. All clay-based litters have the possibility of containing silica dust, which can be inhaled by you and your cat. Avoid respiratory and allergy problems by selecting a low-dust litter made from 100% natural ingredients. A natural litter will allow you to breathe easy and avoid cleaning up dust throughout the home. While many litters claim to keep the home clean, nobody wants to care for their cat at the expense of the planet. Clay-based litters are derived from strip-mining, which has a notoriously terrible impact on the environment. While clay litters used to be the only option, cat owners can now choose natural alternatives that work as well or better! You have more important things to do than deal with an unnecessary mess. And we understand that cleaning the litter box shouldn’t be a dirty, uncomfortable, or time-consuming experience. That’s why World’s Best Cat Litter™ is formulated to meet all four dimensions of clean living! 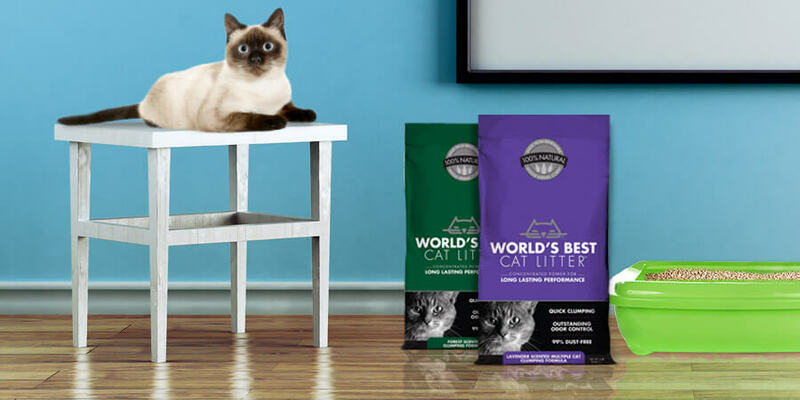 World’s Best Cat Litter™ is composed of all-natural ingredients so you don’t have to worry about your cats (or anyone else) breathing in silica dust. Its quick clumping ability offers outstanding odor control and easy scooping so cleanup is a breeze. And because it’s made of renewable whole-kernel corn, your clean home helps protect the planet! What other qualities do you like best about your litter? Choosing between clumping or non-clumping cat litter? 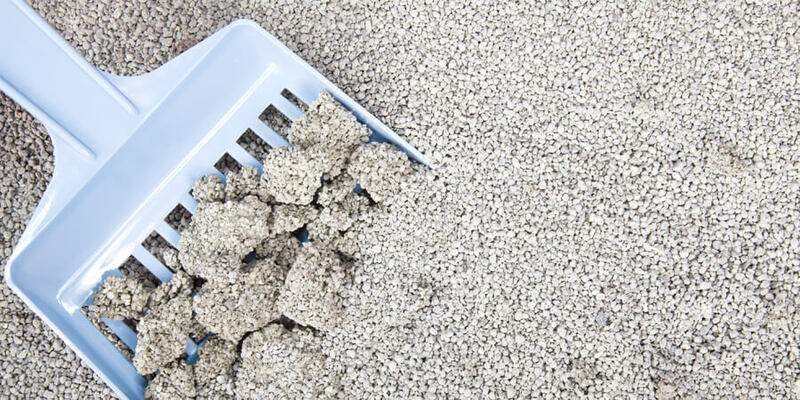 Here are 4 reasons why we think clumping cat litter is vastly superior to non-clumping cat litter.